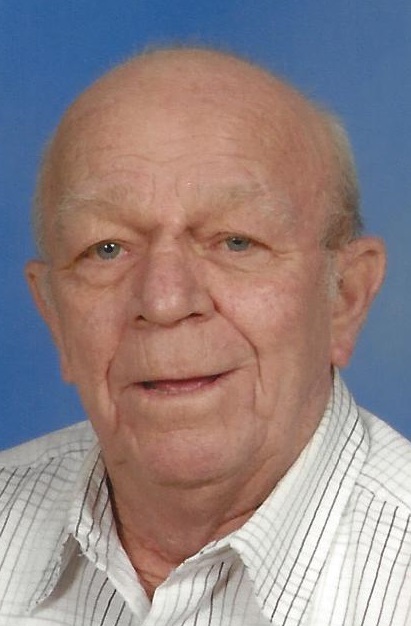 John E. Sermersheim, 78, of Ferdinand passed away, Saturday, March 31st at his home in Ferdinand. John was born May 2, 1939 in Ireland to Ben and Victoria (Hopf) Sermersheim. He was owner and operator of John Sermersheim’s Litter Service. He worked for Henke Farms and Kramers Feedmill. He enjoyed driving truck. John served in the US Army and was stationed in Germany. John was a member of Christ the King Parish, St. Ferdinand Chruch. He is survived by one son, Scott (Tammy) Sermersheim of Ferdinand; three daughters, Jennifer (Keith) Sherman and Jill (Greg) Sicard all of Ferdinand, Susan (Deb Lindsey) Sermersheim of Evansville; one brother, Robert (Dolly) Sermersheim of Jasper; four sisters, Elizabeth (Linus) Fuhs, Linda (Wes) Rohleder all of Jasper, Rosemary (Robert) Schnaus of Ireland, Rita (Donald) Werne of Plantation, Fl. ; ten grandchildren and three great-grandchildren. John was preceded in death by a brother, Jerome Sermersheim and a sister, Dorothy Bartley. Funeral services will be Thursday at 10:00 AM in St. Ferdinand Church with burial to follow in the church cemetery. Ferdinand American Legion Post 124 will provide Military Graveside Rites. Visitation will be Thursday at St. Ferdinand Church from 8:00 AM until service time. Memorial contributions may be made to Ferdinand Community Endowment Fund.